Follow Our Facebook Page For Updates & Event Pages! Barcelona - this sweet girl suffered a broken leg! Learn more about Freeway's story and what started our organization! 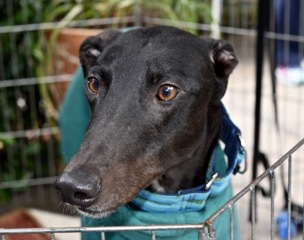 for the greyhounds that need us most! 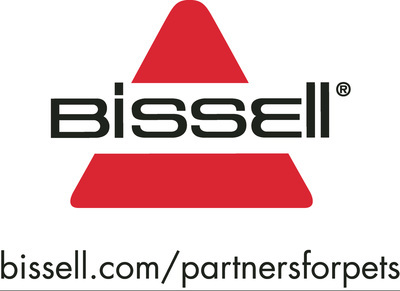 spread the word about your business or organization! or how you can spread the word about your business! We Were Chosen As Charity Partner 2018 Award! Look for Freeway's donated items at Beth & Dawn's garage sale in Middlefield, Ohio! Every sale of our item's are donated back to Freeway! SHOP ONLINE & HELP FREEWAY! These sites donate back to us when YOU shop! 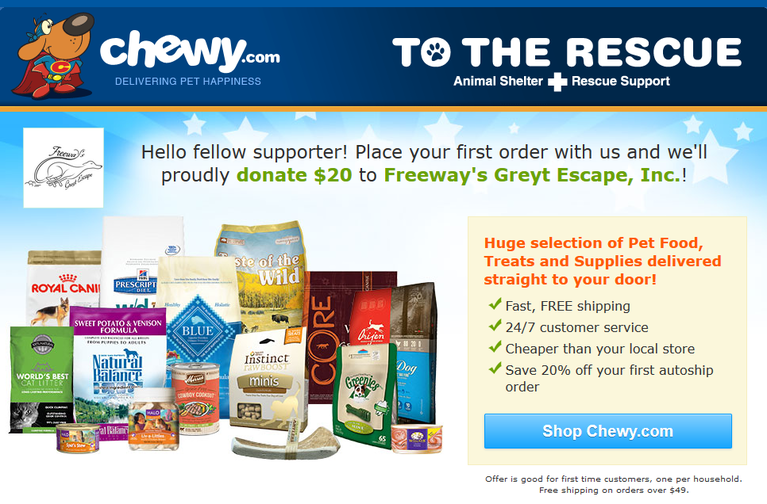 Order your food with Chewy and they’ll proudly donate $20 to Freeway's Greyt Escape, Inc.
-Huge selection of pet food, treats and supplies. 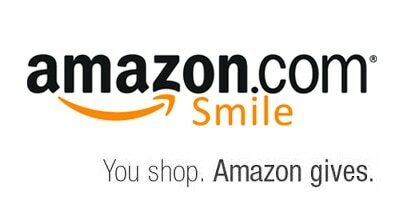 Choose "Freeways Greyt Escape Inc"
as your Smile.Amazon Charity Partner, and every time you go to Smile.Amazon.com to do your shopping, Amazon will donate a portion of your purchases to us! We won't know what you bought, we just get a check from Amazon! Or, from your mobile browser, select Change your Charity from the options at the bottom of the page. 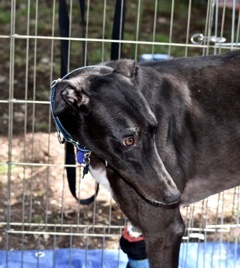 1) Go to "Pick Your Own Charitable Organization", type in "Freeways Greyt Escape Inc", then click the SEARCH button. 2) Click the yellow SELECT button. You're all set! We will now be saved, as long as you go to smile.amazon.com to shop and log in! 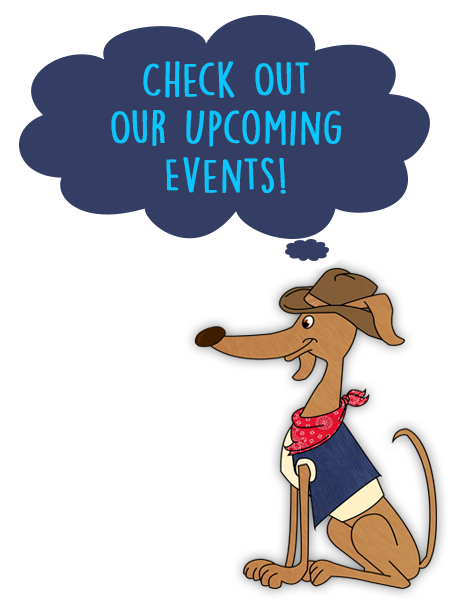 the graphics, brochures and special event postcards, Facebook page, and our E-Newsletter. Thank you for helping Freeway through this journey."